Most traditional energy sources are used for cooking and lighting, and thus energy consumption is dominated by the domestic sector, which represents 89 per cent of energy consumed, mostly rural homes. 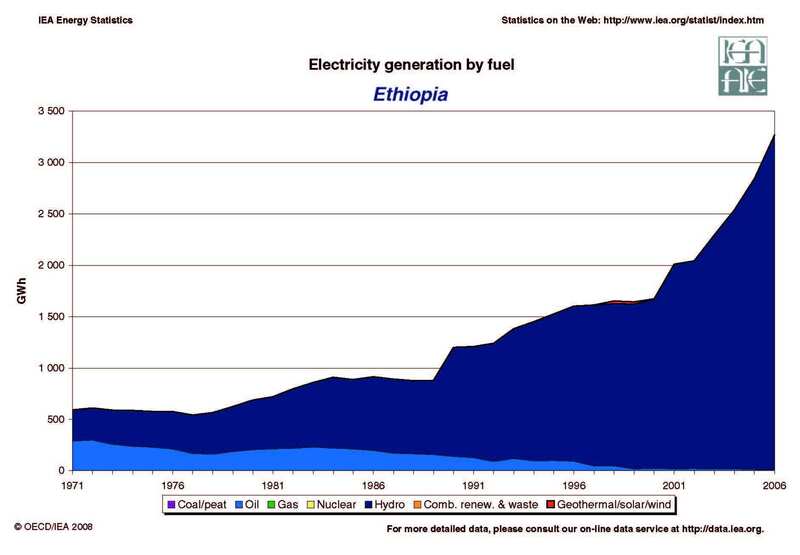 Ethiopia has significant oil and gas reserves which are not being exploited.14 The vast majority of Ethiopia\'s existing capacity (85%) is hydroelectric. The Ethiopian Electric Power Corporation (EEPCO) plans to construct several new generating facilities to provide electricity to Ethiopia. 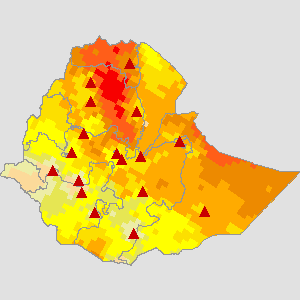 Currently, less than half of Ethiopia\'s towns have access to electricity though EEPCO electrified more than eighty towns between 2001 and 2003. Since most of Ethiopia\'s electricity is generated from hydroelectric dams, the country\'s power system is vulnerable to extended droughts. EEPCO is currently constructing many more hydroelectric plants to supply power to currently unelectrified households...more information. Ethiopia has formulated its Five-Year MDGs-based Medium-Term Development Plan entitled A Plan for Accelerated and Sustained Development to End Poverty (PASDEP), which was approved by the House of People’s Representatives in May 2006 following a wide range of consultations by various stakeholders. The 2005-2009 PASDEP is a continuation of Ethiopia’s First Generation Poverty Reduction Strategy Paper entitled Sustainable Development and Poverty Reduction Program (SDPRP) that covered the period 2002-2004. The PASDEP has benefited from the MDGs Needs Assessment prepared with support from UNCT, The World Bank and The Millennium Project. 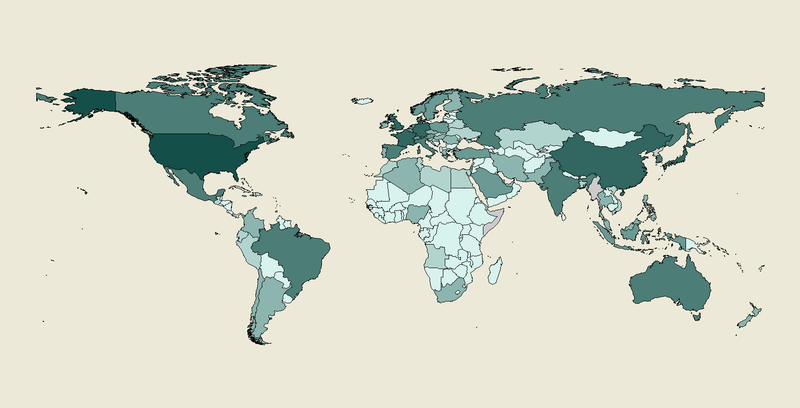 The government noted that the MDGs are well integrated in its development plans, programs, and strategies, and the SDPRP and PASDEP are considered vehicles towards reaching the MDGs.As indicated in many official reports, the country registered an impressive annual growth rate of about 11 percent per annum for the past four years ending in 2006-2007. This marks a significant progress, not only compared to the 7 percent annual growth target required to meet the MDGs, but also to realize Ethiopia’s objective to become a middle-income country in the next two decades ...more information.